We know how important it is for our families to have reliable childcare and, to that end, we try our absolute hardest to stay open regardless of weather conditions. We also want to ensure the safety of our teachers, who are coming into work from all over the surrounding region. In the event of severe weather and treacherous road conditions, we may choose to implement a 2-hour late opening OR close for the day entirely, depending on weather conditions. o Any closures that occur will affect all ChildRoots locations. o We'll be communicating any change to our regular operating schedule both on the homepage of our website and via email by 6:00 AM. We do NOT follow the Portland Public Schools inclement weather schedule. With winter creeping ever closer, we've been focused on honing our inclement weather plan; should ice or snow happen over the next few months. We know how important it is for our families to have reliable childcare and, to that end, we try our absolute hardest to stay open regardless of weather conditions. We also want to ensure the safety of our teachers, who are coming into work from all over the surrounding region. In the event of severe weather and treacherous road conditions, we may choose to implement a 2-hour late opening OR close for the day entirely, depending on weather conditions. Any closures that occur will affect all ChildRoots locations. In the event that we do decide to close or open late, we'll be communicating this change both on the homepage of our website and via email by 6:00 AM. We're still missing mobile carrier information from many families -- please check to ensure that you've filled out the cell phone information form. This allows us to send text messages in the event of an emergency. We're planning our next parenting class series, and we'd love to hear from you! What topics would you most like to hear about? Please fill out this quick survey, and let us know if you have any feedback! Our next magnificent community event is coming up soon! Plan on joining us on Sunday, December 18th anytime between 9:00 - 1:00. We'll be celebrating winter by transforming our Southeast school into a winter wonderland; complete with a winter gnome, an ice queen, a winter fairy, a wizard, and a sleepy bear. We have an amazing group of vendors selling handmade goods; music; and delicious food. Invite your friends and neighbors! This is an event not to be missed. We're looking forward to resuming our Parent Collaboration Committee next month! Our first meeting of 2017 will take place on Monday, January 16th at 6:00 PM. Do you have any all-school questions or concerns that you'd like addressed at this meeting? Please get in touch. ALL parents are welcome to join our executive director, Nina, at this meeting at our Southeast school. We're looking forward to seeing you there! Just a reminder that ChildRoots will be CLOSED from Monday, December 26th - Friday, December 30th. School will resume on Monday, January 2nd. We have several openings at our Northwest and Southeast centers for preschool-aged children! 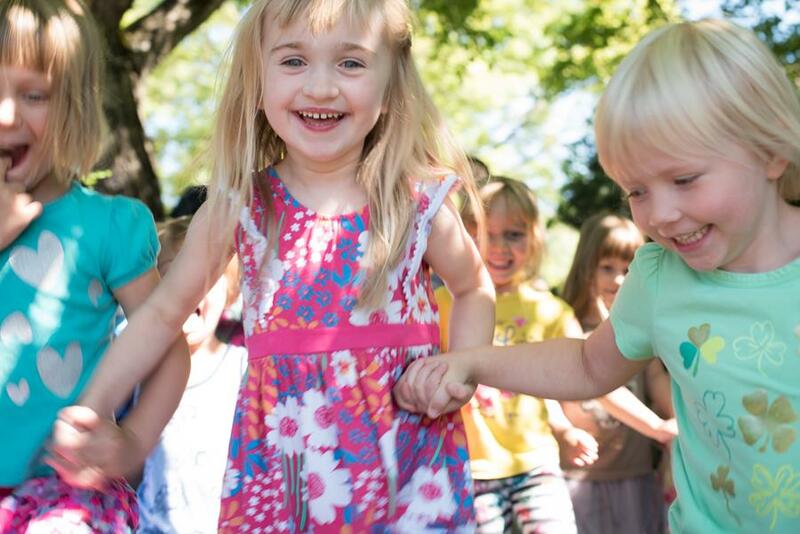 If you have friends that are looking for an exceptional preschool program, please send them our way. Our Parent Collaboration Committee has had an excellent first six months. Hearing your questions and concerns has been so valuable, and we’re looking forward to continuing our meetings in the new school year. New classrooms (and classrooms with graduating preschoolers) will need one or two PCC representatives that can commit to attending an hour-long meeting each month. Topics for these meetings are solicited from your classrooms, and can include any school or program-wide policies, philosophies, or concerns. Meetings are held with our executive director, Nina, on the 15th of each month. We are officially adjusting our enrollment procedures to provide for more consistency and better communication between our bookkeeping department, administrative office, and each school. If you’re interested in adding days to your schedule, I’ll be your new contact: enrollment@childroots.com. If the schedule you’d like is available, you’ll be directed to our new change of enrollment form on the parent resource page of our website. Reducing or withdrawing days? You'll also be able to access this change of enrollment form online. Check out the calendar on our website to learn more about all of our upcoming events. Friday, August 26th: Closed for teacher training and preschool graduation preparation. NW and SE graduation at 6:00. We'll see all of you back on Tuesday, September 6th! We are delighted to announce that, for the second consecutive year, we’ve been able to offer substantial wage increases to each of our incredible staff members; effective in September. They work so, so hard; and we want to be able to offer them the support that they need to be able to make long-term commitments to us. Lead test results from Professional Laboratory Services for all locations are in, and all locations show "None Detected." Topics from the fourth Parent Collaboration Committee (PCC), which was held at Southeast Center on May 13th, 2016. Topics from the third Parent Collaboration Committee (PCC), which was held at Northwest Center on April 15th, 2016. Topics from the second Parent Collaboration Committee (PCC), which was held at Fremont Center on March 15th, 2016.